Meet Erin Lee! 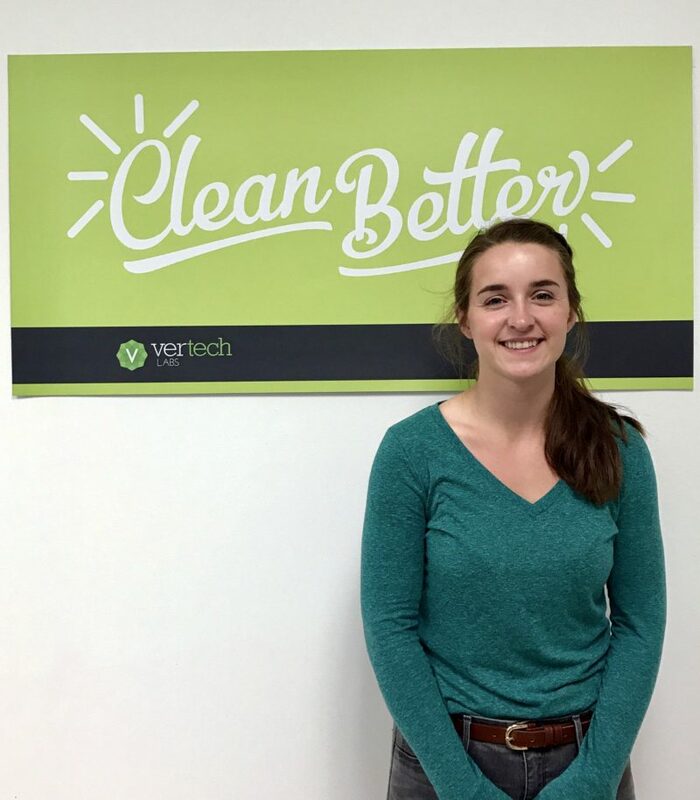 Ver-tech Labs’ newest chemist. She recently graduated from University of MN- Morris with a degree in Biochemistry. Her duties include quality control, developing new products and sales support as well as other various tasks. Erin is looking forward to applying the skills she learned in school to real world applications and supporting our customers and sales reps in the field. She will be working with our technical director Jami Sloan. “We are very excited to add energy and a fresh perspective to the team,” Jami said. Self-described as ambitious, diligent and laid back, Erin’s hobbies include running, cooking and reading. She is currently training for a half marathon this fall. Good luck with training and welcome to the team!